A ball of hair weighing around 1.5 kg has been removed from the stomach of a 25-year-old mentally ill woman at the Government-run Maharaja Yeshwantrao Hospital. 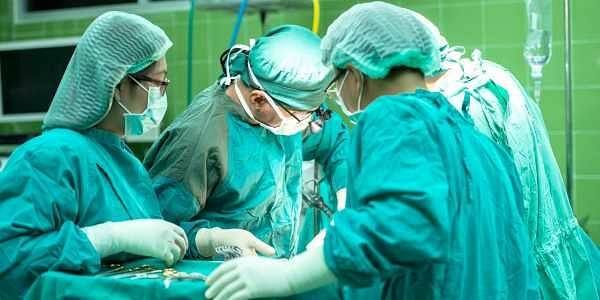 INDORE: After a three-hour-long surgery, a ball of hair weighing around 1.5 kg has been removed from the stomach of a 25-year-old woman at the Government-run Maharaja Yeshwantrao Hospital here. Dr R K Mathur, who led the five-member team of doctors which conducted the surgery yesterday, said the woman's condition was stable. The woman suffered from a mental disorder which led her to tear out and chew the hair from her head. Over a period of time the hair formed a hard lump inside the stomach, he told PTI. Had the hair not been removed from her stomach, it would have caused a serious medical problem, Dr Mathur added.